What is the program content for Or Tzedek? Workshops will cover learning on root-cause social justice, the Chicago’s political landscape and issue areas, organizing strategy and skills and Jewish text, tradition and practice around social justice. What’s Jewish about this program? Inspired by Hillel’s question, “If not now, when?” Or Tzedek provides teens with a Jewish framework to explore their social justice identities and gives them the tools to build a better world. Or Tzedek reaches teens at a point in their lives when they are making critical choices about their identity. We work to ensure that when teens ask the age-old question “Who am I?” that “I am a Jew” resounds loudly somewhere in the answer. Or Tzedek provides an opportunity for the teens to explore their Jewish identity in an exciting and unique way. Jewish programming in Or Tzedek consists of learning what our tradition says about social justice issues, unpacking our own history as Jews working for social change and its implications for today, and building Jewish community and practice rooted in tikkun olam. Each cohort also observes one or more Shabbatot together. Our Shabbat experiences are also a way to connect to Jewish identity, community, and expression. Cohort workshops and actions will take place in different places around Chicago, in order to support learning about the broad Chicago landscape and to make sure teens from a variety of community areas can access the program. Teens in the program are responsible for getting themselves to regular meetings, but where possible staff will help coordinate transportation. The stipend teens receive for the program is also meant to help cover travel costs. Or Tzedek is geared for Jewish teens in 8th-11th grades who are passionate about social justice. Each program offers opportunities for new and returning participants. Or Tzedek provides an amazing foundation for understanding activism, advocacy, and organizing. For teens who have previously participated in Or Tzedek, the program will provide opportunities to play a leadership role in facilitation and JCUA’s campaigns. Inclusivity is at the heart of Or Tzedek’s programs. We are committed to making Or Tzedek a safe space for all participants to celebrate both the similarities and differences of people’s practices and identities. Our Shabbat observance, kosher practices, and LGBTQIA inclusion practices are all developed to create a supportive, inclusive, and pluralistic Jewish community. Or Tzedek staff are trained and familiar with creating thoughtful, respectful and inclusive pluralistic Jewish communities. 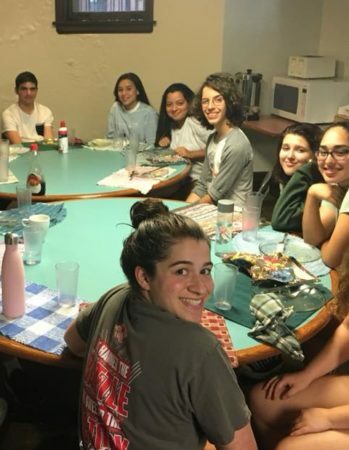 Our staff serve as role models for the teens by showing what it means to create a Jewish community that lives its commitment to inclusivity in all aspects of its programming. All participants and their parents sign a B’rit Kehillah, code of conduct, before participating in our program. Our B’rit Kehillah asks participants, among other things, to be open to and to take seriously Or Tzedek’s commitment to inclusivity. ► Shabbat Observance When observing Shabbat, Or Tzedek will refrain from driving and cooking, and will not require writing or the use of technology. Teens are encouraged to share their own diverse Shabbat practices with the group to teach and expose each other to new traditions. Teens will assist in planning the program Shabbatot. ► LGBTQIA Safe Space Or Tzedek strives to address and combat injustice in our own community spaces, just as we do throughout Chicago. In our programming we work to ensure that all teens feel welcome, regardless of identity. 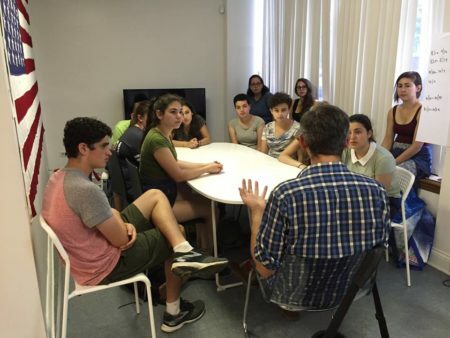 Or Tzedek is a supportive space for teens of all gender identities.